Country Sunshine has been cooking since she was a pre-teen, and enjoys sharing recipes and tips concerning all things "food". Growing up, my father spent many evenings cooking our meals on the grill. He was master of the BBQ, and could cook just about anything! 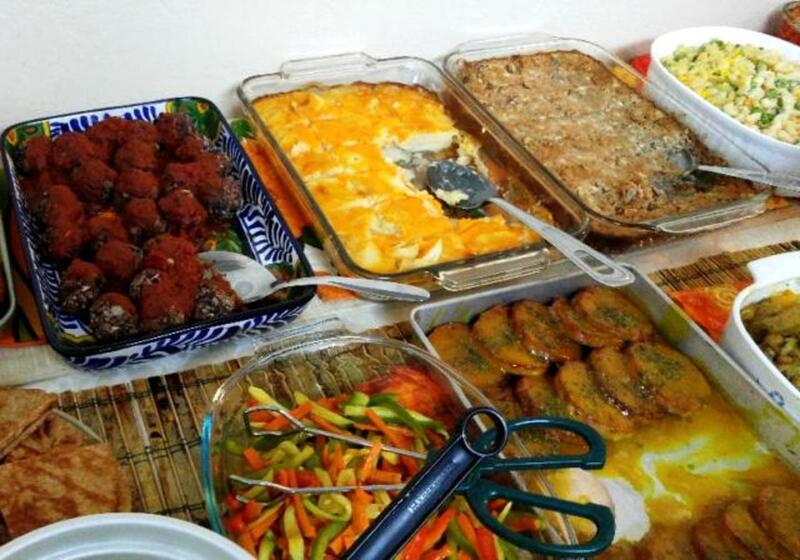 There were many dishes I didn't want to try, as I was a picky eater. However, he knew how to add that special "dad" ingredient, and it always tasted better! My father not only enjoys growing onions, but also grilling them. Grilled onions are an alternative side dish for your next outdoor barbecue. 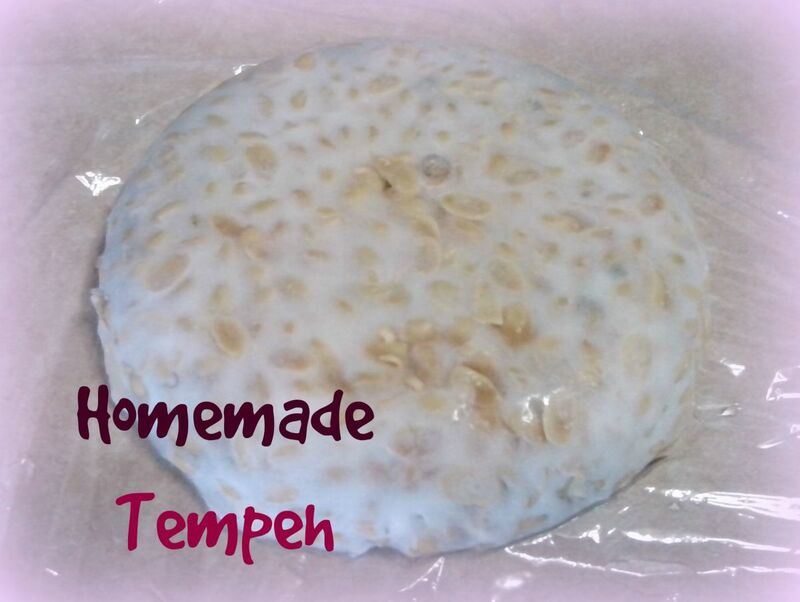 They are easy to prepare, use ingredients you have around the house, and don't cost a lot of money. Grilled onions complement just about any meat dish, from chicken to beef to pork. By cooking them on the grill, the butter and garlic bring out the sweetness of the onions, adding the perfect flavor to your outdoor BBQ. 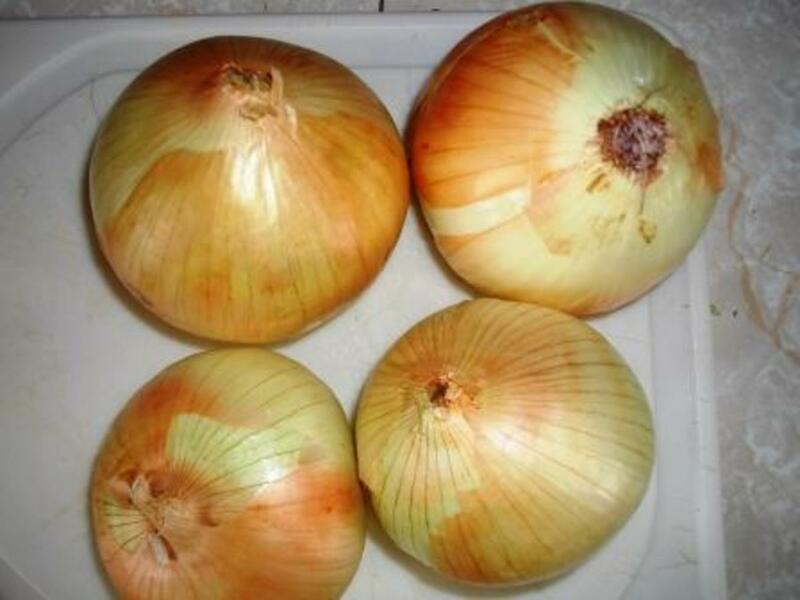 Cooking onions on the grill is easy, and uses common ingredients that most cooks have in their kitchens. In addition to garlic, butter, salt and pepper, you'll need a cutting board, sharp knife, and aluminum foil. Slice off about 1/4 inch from each end. This will make a base for the onion to sit, and make the top attractive. 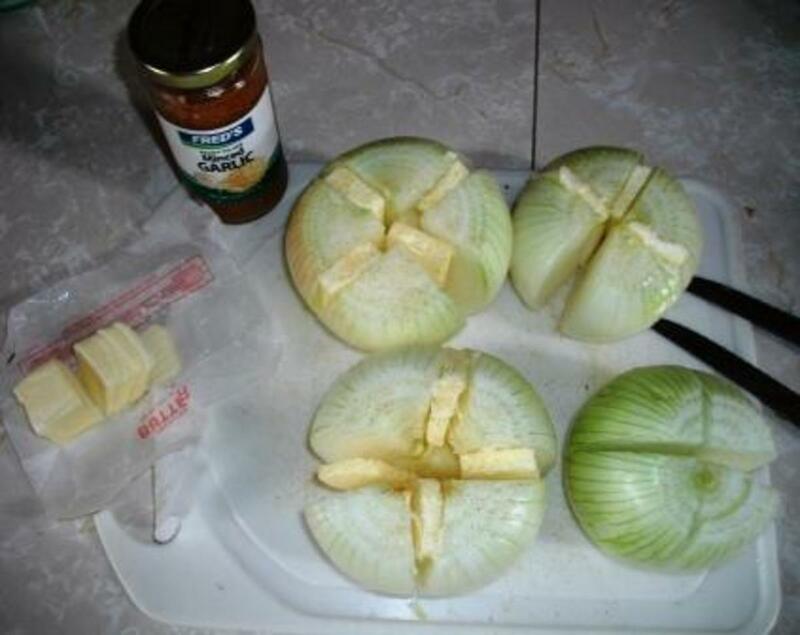 Cut each onion into 4 wedges. Make certain not to cut through the bottom, so the wedges will stay together. Spread the wedges open enough to insert a pat of butter and some minced garlic in each cut. 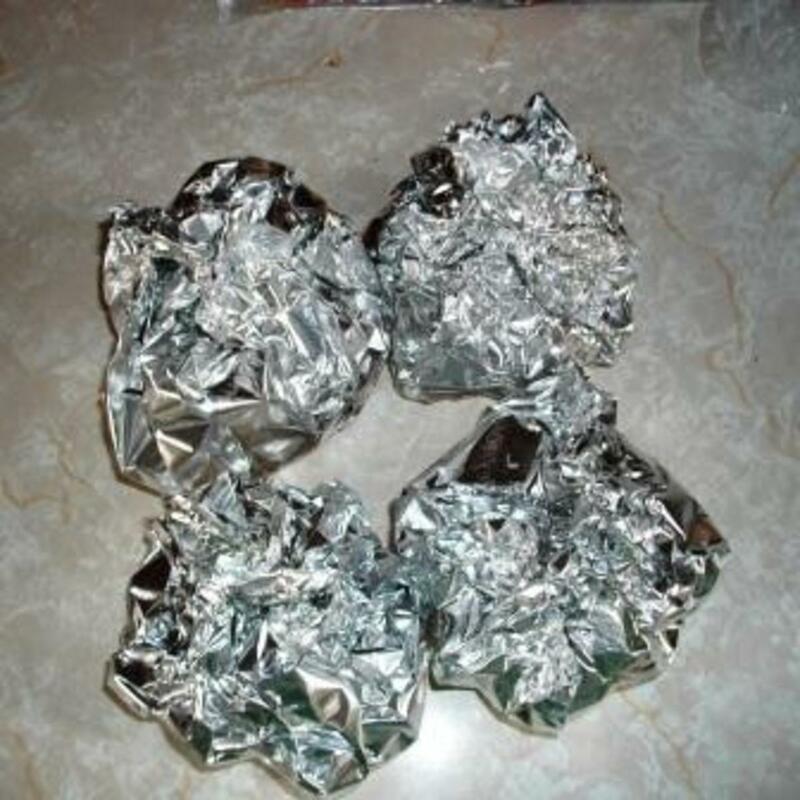 Carefully unfold the foil packets to check for doneness. The edges should be slightly browned and the wedges soft. Continue to cook for another 15 minutes if the onions are not quite done. Remove from heat and let sit for 5 minutes before opening. Serve over meat, or as a side dish. If you like to BBQ, you probably already have several recipe books. However, this barbecue book is different, as the recipes come from restaurants and other BBQ places across America. It contains photographs on the featured restaurants, plus tips on how to choose a charcoal grill. A must-read and must-have for your cookbook library! 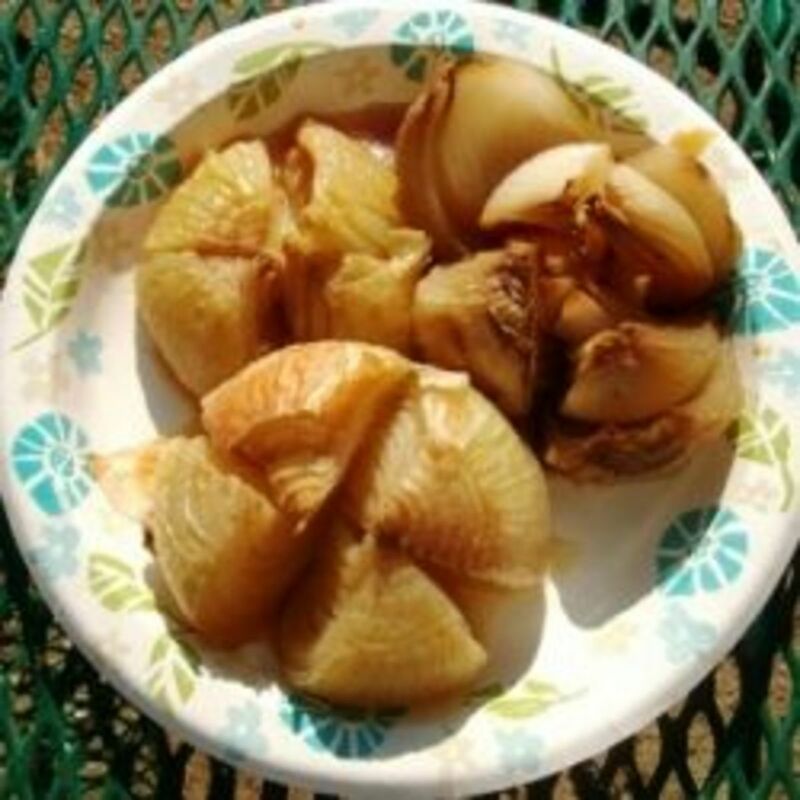 Do you have a grilled onion recipe? 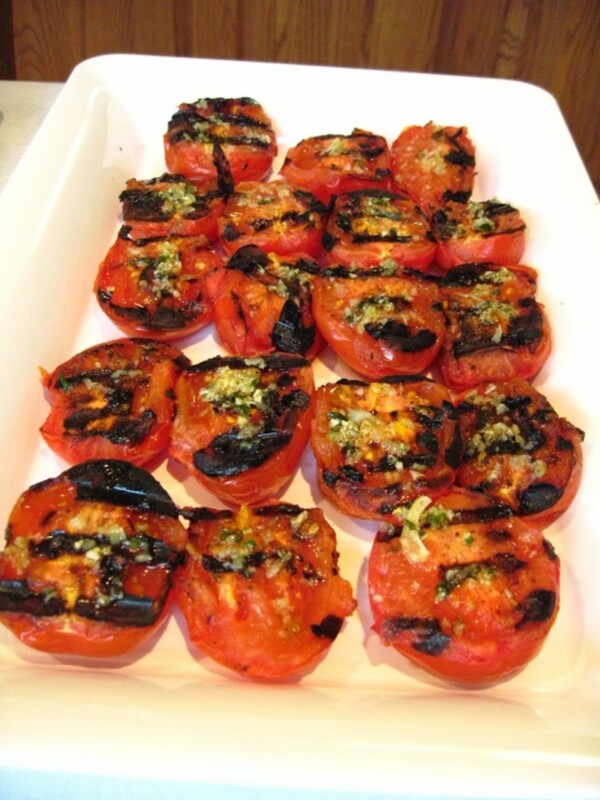 What other vegetables do you like on the grill? Let me know how the onions turn out! If you do something different, I'll add it to the article. Thanks so much for the "hug" and adding me to your article. Merry Christmas to you and your family! 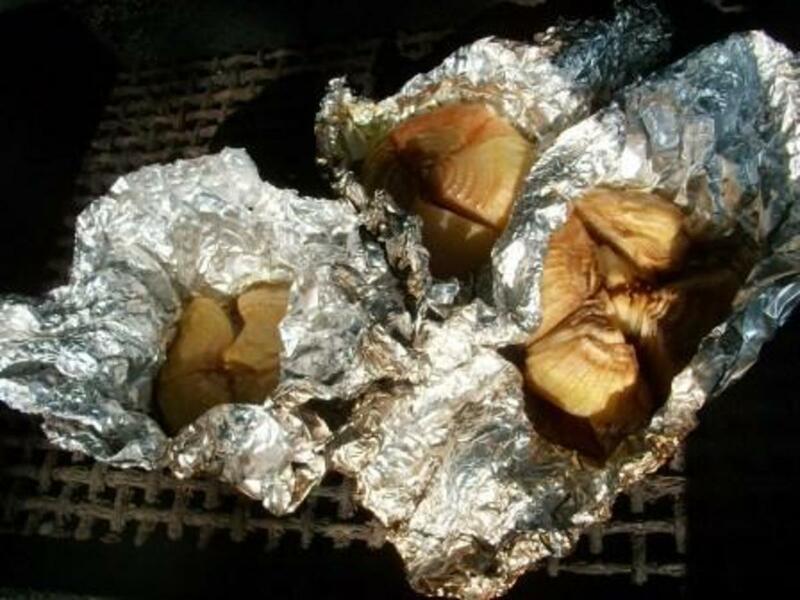 I've never grilled onions in foil, should give it a try. Yours look delicious! I love grilled onions on burgers but haven't thought of them as a stand-alone side dish -- cool idea! 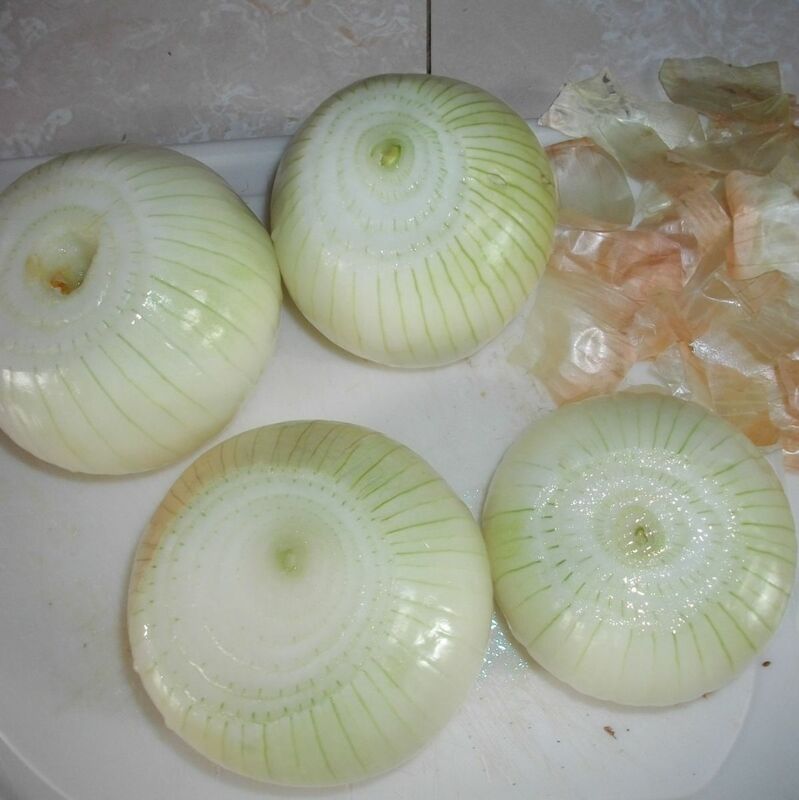 Raw onions kill my stomach, so I always have to sautee the heck out of them, or carmelize ..... but using your method 'til they're nice &amp; brown is a great option. Yum, yum, and YUM! 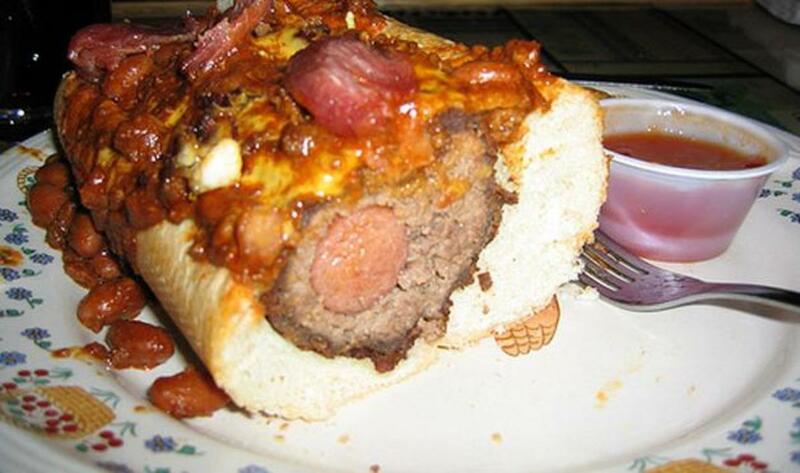 This looks so delicious... that I'm going to drag out my grill and crank up the cooking! Wow. When I was a Boy Scout, we'd cook up onions on the grill (sometimes just a grill laid over a campfire) by adding them to foil-wrapped steak and sliced and seasoned potatoes)... I'm going to try some of the ideas you've presented here! Congrats on a Squidoo masterpiece! Our household does a lot of grilling, and we'll grill almost any vegetable :) We've been doing a lot of red onion wedges on our skewers, but this looks like a great way to enjoy the vidalias we picked up this morning!